The WordWise Blog: Institutionalized Racism in Publishing? Just this morning, I came across an interesting post from one of my friends on Facebook. My friend, who (like me) happens to be black, posted links to articles from yesterday’s New York Times: here and here. 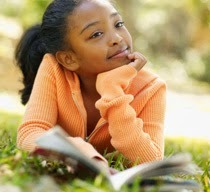 Long story short: There aren’t enough books out there for black kids. Most children’s books feature white kids from the suburbs, not colored kids from the ’hood. Who will be their heroes? Who will be their role models? Surely Encyclopedia Brown or Charlie Bucket (my favorites, in my wonder years) will never do. Who is to blame for this institutionalized racism? And what might be a way forward? Curiously these articles are fuzzy on both counts, but one described the situation as “apartheid.” Which (at least for me) implies forced segregation at the hand of the white man. I offer my testimony as one who works full-time in the publishing biz. This is not scientific research, and only anecdotal of my own experience. But I have discussed this issue at length with dozens of industry professionals around the country, including agents, editors, and authors, and we all seem to be on the same page. I attend and speak at writers' conferences and other events about a dozen times a year, across the country. These are the training grounds for aspiring authors, the place where they can network with industry professionals, go around the usual gatekeepers, and avoid the slush pile. They can pitch their books directly to agents and editors, and solicit advice from those in the know. I rarely meet a person of color at these events. At the Writer’s Digest Conference in Los Angeles last year, they had about 500 people in attendance in this melting-pot city. This event was advertised far and wide for months, all over the USA and Canada. Stellar faculty of first-rate authors, agents, and editors to teach these aspirants how to get their books into print. It doesn’t get much better than this. Very few black faces in the crowd. What does this tell me about the writers who feel as if they're locked out of the process? Hard to say with any certainly, but I will take a stab at it: Black folks don’t treat their writing seriously by networking in the right places. As such, they miss out on wonderful opportunities to advance their careers. They might have raw talent, a magnificent story, and all the best intentions. But this is the big leagues; it’s a brutally competitive business, and this fickle beast rewards those who learn how to work the system. In the course of my eight years in the business -- as a freelance editor, conference director, and now a literary agent -- I've reviewed thousands of queries, proposals, and manuscripts. I've even gone out of my way to attend book fairs to meet black writers. And I can't remember the last time I saw a submission for a book for black children. As for me in my own childhood, I never cared whether the kids in my books "looked like me." I was born into a multiracial family in Hollywood, and my neighbors and classmates hailed from every corner of the planet. We were, I still believe, a colorblind generation. We were too busy being kids, to give a moment's concern to the politics of it all. In Maurice Sendak's Where The Wild Things Are, I didn't notice (or care) that Max was white. I was drawn in by the story, the vivid illustrations, and the happy ending. I never imagined that either Sendak or Harper & Row were responsible for my self-esteem. I simply enjoyed the book for what it was: an escapist game of make-believe. Today as a parent, I love it that J.K. Rowling motivates my son to read. And as far as I'm concerned, her responsibility ends right there. Among the black writers I do meet, they’re not especially interested in writing “black” books, because they don’t want to limit their audience. I can respect that. I've known a few white writers who tried to write “black” books (including some for children), and more often than not they're summarily dismissed as mere pretenders and trespassers. How can they possibly understand us if they've never walked in our shoes? My answer: Maybe they would, if only you invited them in. How strange, that a group who fought and marched and sacrificed so nobly fifty years ago to end segregation in our society, now works so hard to marginalize its own. Anyone who chooses to live in an ethnocentric bubble, only makes that gulf wider and deeper. But even if I grant the premise that the industry is hostile to black families, where does that leave us? The Times columnists complain that black kids can’t get books with pictures of black kids. Maybe they're right. But then what? The question remains, who is going to train the next generation of writers who might produce such books? These (mostly) young scribes need a mentor, a professional critique, a leg up in the business. And perhaps, someone who looks like them, to show ’em how it’s done. That it can be done. That someone who looks like them, cares. Show of hands, please. Anyone? Nice article. It really surprises that you and other conference organizers had such a hard time recruiting black authors. I really liked both the Myers' articles but I did find it a bit annoying that they equated books about children of color to books about blacks. What about all us browns?